State Bar rules require us to make clear that every case is different and results obtained depend on the facts of each case. Texas DPS driver license eligibility – Talking with DPS takes hours. The driver license report is confusing. Surcharges, failures to appear, reinstatement fees…the system seems deliberately complicated. So now what do you do with a Texas driver’s license suspended in Austin Travis County? Follow these 3 steps to help make some sense of the complicated system. I assure you, we can find a path forward to get you driving legally. For reinstating a suspended license in Austin Texas, see Step 3 below. Or if you need to talk to a license suspended attorney in Austin, please contact us immediately for assistance at (512) 474-1404. 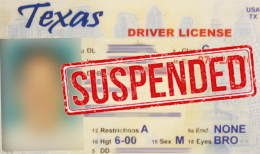 Click to learn more about our lawyers for suspended license in Austin. Visit the Texas DPS License Eligibility Site. You’ll need your driver license (or ID), date of birth and last 4 digits of your Social Security number. This site consists of five areas: Eligibility Status, Medical Certificate Information, Compliance Requirements, Other Requirements, Fees. This section will show if you “eligible” or “not eligible”. Texas Driver License Office location. Congratulations, you should be A-OK to drive. A status of “not eligible” means you are prohibited from operating any motor vehicle or obtaining a license at this time. This section is applicable only to drivers who possess a commercial driver license (CDL) or commercial learner’s permit (CLP). Items listed under this section require proof of compliance mailed to DPS at the address listed. The items listed under this section tend to be the most complicated to resolve. There will be a table listing the enforcement action, date beginning and ending, and the compliance instructions. There are dozens of enforcement actions that can be listed. Each one may require guidance. Feel free to contact us to discuss the options. Please note that an “ending date” of 12/31/1999 means that the suspension is indefinite and can only be resolved by supplying the required documents. Click here to send us your enforcement action for review. The items listed under this section require visiting additional websites. The most common items listed here are Surcharges and Failures to Appear. Surcharges – also known as Driver Responsibility Program fees. These fees are administered by the Municipal Services Bureau, a 3rd party private entity that is contracted by the State of Texas to collect on outstanding fees. You can visit www.txsurchargeonline.com or call 800-688-6882. Failures to Appear/Pay – When someone receives a traffic ticket and doesn’t respond, a FTA can be entered in the Omnibase. You can view the FTAs by visiting www.texasfailuretoappear.com. We strongly caution you to not simply pay a FTA without consulting an attorney. Some tickets can result in an additional suspension and more surcharges. Complete the form on the top of this page or call us at (512) 474-1404 to consult with an attorney about FTAs. The system seems designed to make you fail. One of our clients was told by a DPS employee to pay off a failure to appear ticket…it caused another license suspension. Congratulations if you have made it through the process of reviewing your DL record and investigating each hold. Now you have to prioritize the order in which you resolve each hold. Contact us now if you would like assistance with developing a plan to resolve your holds. The details of each “hold”, your financial situation, and the time frame in which you must restore your driving privileges can have a significant impact on the order. Don’t hesitate to contact us for some guidance on how to get back on the road. We often save our clients hundreds of dollars and a lot of headache. Once you have an idea of the costs to reinstate your license and the order to release the holds, you need to determine which is more practical: Reinstating your Driver License or obtaining an Occupational Driver License (ODL). An ODL is obtained by petitioning a judge to grant you the privilege to drive while your license is suspended. Click here for a list of requirements for an ODL. Many people find that their situation is just too complicated to figure out on their own. It is our mission to help individuals sort through the complicated process and remove the barriers to driving legally. Most people are surprised to find that we can save them hundreds, even thousands of dollars in the process. Click here or for immediate help call (512) 474-1404. We believe everyone should have an opportunity for a valid driver's license and case dismissal. If you need a lawyer for reinstating a suspended license in Austin who will help you get back on the road and get your cased dismissed, don't wait-fill out the form now! Do You Need Legal DWI Defense? We believe everyone should have an opportunity for a valid driver’s license and case dismissal. If you need a lawyer for reinstating a suspended license in Austin who will help you get back on the road and get your cased dismissed, don’t wait-fill out the form now!